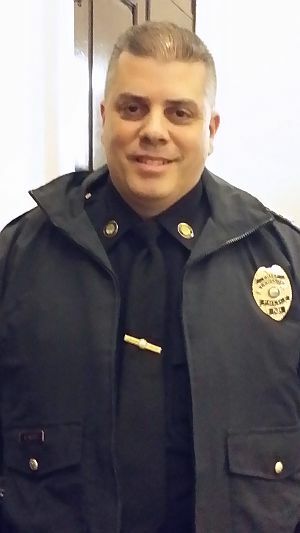 Lebanon Police Chief Richard Mello has been in the position for one month. The Chief says he is impressed with the professionalism of the department’s employees. A Sullivan County Grand Jury indicted a Newport man for Arson on Wednesday in case from 2014. Newport Police Chief James Burroughs said Anthony Lantas 32, was arrested for the arson on a vacant 118 North Main Street residence in November of 2014. Over the following 13 months, the Newport Police Department and the NH Fire Marshals developed information and early on in the investigation identified two suspects. On August 26, 2015, the Sullivan County Grand Jury indicted Frank Magistro for conspiracy to commit burglary at 118 North Main Street and on January 7 was sentence to 12 months at the Sullivan County House of Corrections. Anthony Lantas was indicted and charged with one count of Burglary of 118 North Main Street residence in December of 2015. The 118 North Main street structure had been unoccupied for several years and had no power supply at the time of the fire. The fire was deemed suspicious and triggered an automatic investigation. The Newport Police Department would like to thank the New Hampshire Fire Marshal’s office for their assistance with the investigation. The Weare Police Department is requesting assistance in locating a missing 13-year-old boy. Colin Quinn has brown hair and blue eyes. He weighs approximately 110 pounds and stands at 5’3” tall. Colin was last seen wearing black running pants with a red stripe, a black hoodie and black Nike sneakers. He was last seen on Thursday about 4 pm. If you see Colin or have, information contact Lieutenant Frank Hebert at 529-7755. Wednesday, January 27, 2016 from 6:00 to 8:00 pm at the SAU 88 building located at 20 Seminary Hill in West Lebanon. Cash bail was set today for the two men arrested yesterday in connection with the two stabbings in Claremont. In a press release, Police Chief Alex Scott said both men entered not guilty pleas. Rahman A. Brown 34, of White Plains NY was arraigned on First Degree Assault and Willie Taylor 41 of Claremont on 2 counts of Felony Sale of crack cocaine in a school zone. Brown’s bail was set at $500,000 cash bail and Taylor’s bail was set at $100,000 cash bail. Both men are lodged at the Sullivan County House of Corrections and will have probable cause hearings on Feb. 1 in Claremont District Court. Republican Candidate for President Governor Jeb Bush visited Sturm Rugers yesterday. After taking a tour of the facility the candidate was presented with a Ruger American Rifle before addressing a a large crowd of employees on an array of subjects. The Governor also took questions from employees. One man asked Bush if the American dream was dead. Bush replied that many young people aren’t prepared for the jobs available today. Bush also commented on state of the country’s economy and the need for the economy to grow at a faster rate.